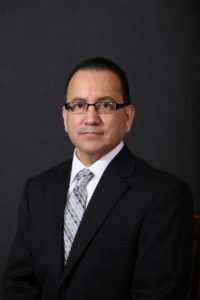 Earlier this week, City leaders approved an extension for City Manager Manuel De La Rosa’s contract. After two hours of executive session, City Commissioners voted on the matter. Mayor Pro Tem Carol Lynn Sanchez made the motion, which was then seconded by Commissioner Rene Villafranco. Commissioner Rick Guerra was the lone dissenter who voted against the extension. Mayor Ben Gomez did not vote, according to Public Relations Director Martha McClain. Commissioner Tony Gonzalez was absent due to being in the hospital and therefore could not vote, Guerra told the News. De La Rosa’s contract has been extended for a total of three more years with a $5,000 pay increase. His annual salary now stands at $125,000 compared to $120,000 prior. All i can say is that was a lowdown shenanigan the Mayor ,Commissioner Sanchez and Commissioner Villafranco pulled at the last city meeting.Those three did not even have the common courtesy to wait until Commissioner Gonzalez was well enough to return and cast his vote.The agenda item could have easily tabled for another city meeting and i saw no urgency in the matter . But what was easily clear was that it was a two to one vote to extend the city managers contract and the Mayor would not have to be the tie breaker. Mayor what happened to UNITED and PROUD ? Well those three just lost ten votes .Mayor leave your school hat at school and put on your city hat at the city meetings. HUMBUG .